Happy Halloween from the "crew"! So cute. 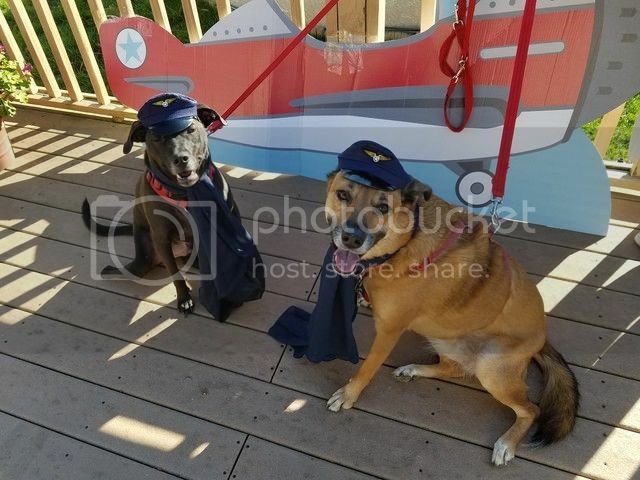 Glad to see that Cheynie has not given up on her flying career and Timi is in training. Happy Halloween to the 3 of you!